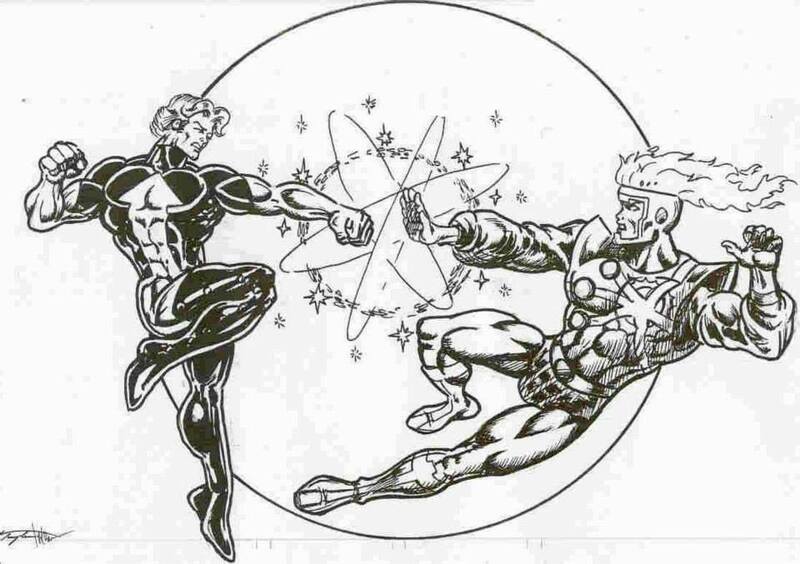 Check out this fun fan piece of Element Lad versus Firestorm! Makes for a clever match-up! Given my recent speculation about Justice League 3000, this fight gives me pause for thought. Art by Peter Temple and Mark Brown. Thanks to Lil’ Russell Burbage (from the United Planets) for directing me towards this piece!